Owing to huge experience, we have grown in leaps and bounds in the scaffold accessories and cutting & threading tools industry. 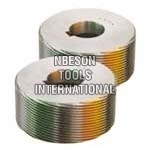 Our wide array of offerings includes Scaffolding Couplers, HSS Threading Chasers, Circular Threading Dies etc. 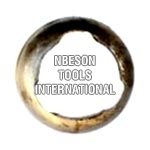 Today, we are counted among the overruling Cutting & Threading Tools Manufacturers based in India. Precisely designed, our products are the perfect blend of quality and performance. Our products confirm the DIN, BRITISH, INDIAN and AMERICAN Standards that exhibits their high quality. Available in various sizes, our products can be customized as per the Customer’s Standards and Drawings. Widely used in various sectors like agriculture, automobile and so on, our products are durable as well as reliable. We deliver products within the specified time frame at very competitive price.